It is important to use website builder software solutions smartly to create sites that are attractive and easy to navigate and read. Website stats show that 39% of people will go away if images take too long to load on a site. 38% will switch off if a site’s layout and content are unattractive. Internet surfing on mobile devices is on the rise, while browsing on desktops is dropping. Therefore, it is essential to ensure your site is optimized for effortless viewing on mobile devices. Plus, you should provide contact information at an easily accessible place on your site so that readers can get in touch with your company for products or services. Today, you don’t need to have technical skills to create an attractive site for your freelancing or business needs. There are numerous good online website builder software solutions that you can utilize to create an appealing site easily and quickly. A lot of these systems are free which means you can save money too. In short, you can have a great site up and running within an hour with a quality tool. However, there are a couple of drawbacks that you need to tackle. One is you cannot control the layout of the site as you have to make do with ready-made templates. The other is the placement of external ads on your site by the free solution vendor. You should also get updated on the latest web design trends and apply them intelligently to create a beautiful and informative site on your own. 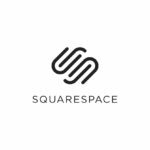 To help you get started, we provide the essential lowdown on Squarespace as well as the top 10 alternatives to Squarespace. Some of the platforms are meant for eCommerce but also offer easy-to-use site building tools for budding online store owners and other users. Squarespace is a great platform for small businesses and individuals that want to start selling online. You can create your own personal blog or website with this tool. This cloud-hosted program offers a dynamic style editor that enables extensive and robust customization. Plus, the pricing packages are affordable for both individuals as well as companies. Website building is made easy by the app’s attractive pre-made templates. Top features include direct editing, gallery blocks, audio collections, custom WYSIWYG editor, social links, and drag-and-drop management. Offers a range of image-rich and beautiful designer templates that are minimalistic yet sophisticated. The templates are intuitive and responsive, and optimized for easy viewing on mobile devices. Extensive customization and styling options. Discounted Getty images and free Typekit fonts. Integrated marketing and SEO tools make it simple for you to engage your potential and existing customers on multiple channels including Twitter, Facebook and more. You get unlimited cloud hosting at no extra cost. Plus, all created stores are Level 1 PCI compliant and safeguarded with 128-bit SSL encryption. If you want to browse other options, don’t go away. We also analyze the main features and benefits of the top 10 alternatives to Squarespace. BigCommerce has earned the top spot in our list as agreed upon by our experts, but don’t let that stop you from looking around. You are sure to find a suitable solution from this list of top-notch website builder tools. BigCommerce is our no. 1 solution, an eCommerce platform that offers the essential tools needed to set up your online store. It provides loads of customizable templates that allow you to use your own designs and integrate branding elements. The app is designed for mobile selling and offers a wide range of free and premium responsive themes. Besides site building, you can also use it for marketing, inventory management, and analytics. Key features include: Domain name, hosting and security, SEO tools, configurable fields, and drag-n-drop content blocks. For other good choices, browse these BigCommerce alternatives here. BigCommerce has it all when it comes to being an eCommerce software. However, its functionalities do not stop there. It has capabilities such as marketplace integrations, analytics, marketing tools, and site hosting, among many others. All of these can significantly boost company performance. As for your checkout process, the tool makes it as simple as you’d want it to be, thereby allowing you to gather critical transaction data that may be used in measuring the performance of your business. And because BigCommerce gives you total control over all your online transactions, you get to accommodate orders faster. Apart from the aforementioned, BigCommerce also comes with features like payment processing, social media marketing, warehouse management and SEO, to name a few. It can likewise work with any existing system not to mention integrate with third-party applications through its API capabilities. When it comes to website building, BigCommerce takes things a step further by making them engaging so that you may provide your customers with richer online shopping experiences. For those who are constantly in the field, you need not worry about accessing the system as it is mobile-optimized. You can use all the features for free for a period of time to see if the software matches your needs. Simply sign up for a BigCommerce free trial here. Shopify is a popular eCommerce platform that offers easy-to-use tools to help you build your own responsive and appealing online store. Select from a wide range of professionally designed themes to give a corporate look to your store. Our review team thinks Shopify is a great option for site building and online selling. The vendor offers a handy free trial plan to help you get started. You can easily sign up for Shopify free trial here. In addition to the online site builder, you also get a full blogging platform. Protect financial transactions on your site with a free SSL certificate. You don’t have to worry about maintaining your site as it is hosted by Shopify which takes care of updates and upgrades. On top of that, you can count on expert 24/7 customer support to get your issues resolved in quick time. If you want to scout for more options, browse these Shopify alternatives here. Weebly is an online drag-and-drop site builder that you can use to create your own unique site or online store. The best part is you can use your mobile device to create and publish your site on the go. Plus, you can benefit from integrations with more than 20 third-party apps that can be useful for your site or store. Buy your own domain from the vendor or make use of a subdomain provided by them. A major highlight is the integrated SEO tool that enables your site to get organic traffic from popular search engines. Plus, you can make use of loads of professional themes that can be customized for business branding purposes. For other options, peruse these viable Weebly alternatives here. If you want to focus on mobile websites, DudaMobile is the right choice for you. The highlight is the solution is optimized for Google’s PageSpeed which makes the created sites fast and light. Another benefit is you can create a small business website in much less time compared to content management platforms such as WordPress, Joomla, Drupal and others. Plus, the tools are user friendly including the drag-and-drop management functionality. The customizable dashboard displays all the main elements needed for development and you can also add more tools if needed. Those with coding skills can make us of the coding-based customization option. If you wish to scout for other solutions, take a look at these good DudaMobile alternatives here. WooCommerce is a WordPress plugin that enables you to convert any WordPress site into a striking online store. It has been designed based on WordPress best practices and offers enterprise-grade features and quality. You can utilize this plugin to build a store from scratch or use your existing WordPress site or blog to start selling items. If you want basic features, you can opt for the free version, but if you want upgrades and updates go for the priced editions. Even lay users are not likely to face any issues as there is an onboarding wizard that guides with fast and easy setup. In case you run into any problems, get help from the active user communities where software experts are ready to give you prompt and useful advice. For more choices, peruse these WooCommerce alternatives here. Yola is an effective online website builder that is ideal for both personal as well as small business websites. 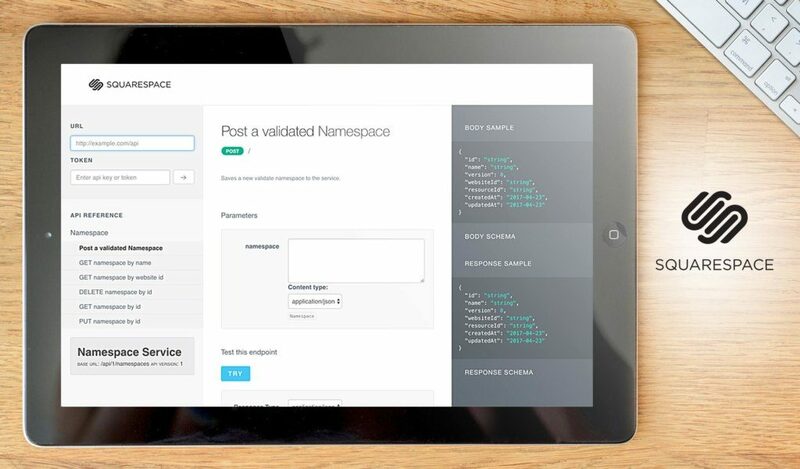 With this tool, you can create a site in minutes. Plus, you can opt for publishing on a free subdomain or pay and upgrade to a custom domain. Yola is ranked among the top 5 popular globally used site building solutions and more than 4 million users have utilized it to create their sites. If you wish to build an online store, you need to subscribe to a paid package. Plus, if you purchase web hosting, you get included enterprise email for companies. Another benefit is there are no maintenance headaches as all content including text, videos, and images are saved on the vendor’s servers. If you are not satisfied, take a look at these viable Yola alternatives here. Jimdo offers an easy-to-use interface that helps you to launch your online store and start selling in minutes. This site builder has been utilized to create more than 200,000 online stores since its introduction in 2010. It is an ideal platform for both freelancers as well as budding entrepreneurs. You don’t need coding skills and can add text and images in a breeze. Plus, you can edit your site using your mobile device and utilize the free Android or iOS app to update it on the go. Main features include: Photo galleries, mobile express page, file downloads, contact forms, and Google Maps. If you think this app is too basic, take a look at these excellent Jimdo alternatives here. Wix is a widely used site builder that has millions of patrons all over the world. You can fully utilize your creative skills and build attractive and professional-looking sites without coding expertise. If you are strapped for cash, you can opt for the free package, but for premium features you need to subscribe to a paid plan. The app’s simple drag-n-drop tools make website building fast, fun, and easy. You can select from hundreds of striking templates.  On top of that, the vendor offers reliable and secure hosting. Enhance your site with robust services and apps from the Wix App Market. If you wish to scout for more choices, peruse these Wix alternatives here. ADSpirine is a digital marketing platform designed to help businesses enhance and better manage their online presence. The team at ADSpirine does all the grunt work in creating or enhancing your online presence, from creating your website and designing a brand new logo to enhancing your search engine optimization (SEO) and search engine marketing (SEM). All you need to do is specify your requests to a Digital Assistant and the team at ADSpirine will do all the heavy lifting. The platform also allows you to better promote your business through quality content, constant promotions, tailored content marketing strategies, and more. ADSpirine offers various pricing plans that can cover all bases of your business. Its premium packages can significantly enhance your online presence and outrank competitors, providing users with backlink analysis, SEO reports, off-page quality link building, and more. For more quality choices, take a look at some ADSpirine alternatives here.